Miss Fisher's Murder Mysteries main cast. 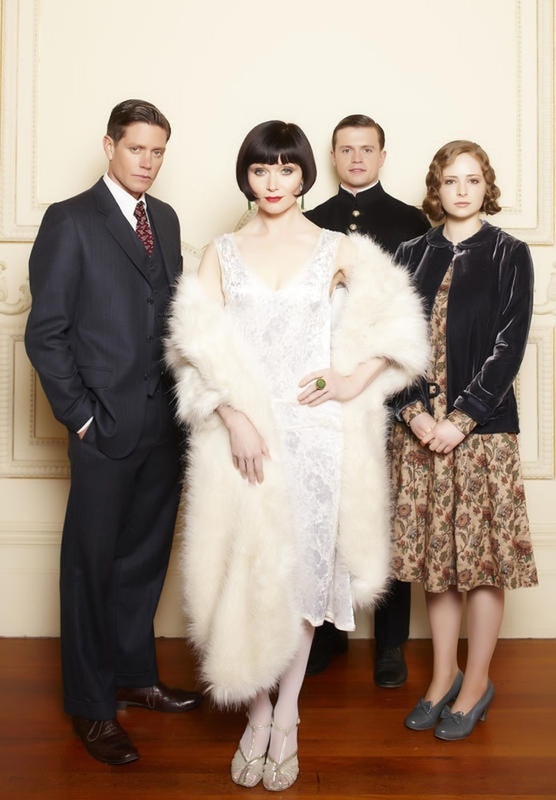 Nathan Page as Detective Inspector John 'Jack' Robinson, Essie Davis as Miss Phryne Fisher, Hugo Johnstone-Burt as Constable Hugh Collins, and Ashleigh Cummings as Dorothy 'Dot' Williams. HD Wallpaper and background images in the 电视 club tagged: miss fisher's murder mysteries australian tv series phryne fisher essie davis detective inspector robinson nathan page dot ashleigh cummings constable collins hugo johnstone-burt.